Last weekend, Lush played two triumphant gigs at the Roundhouse in Camden, their spiritual home from back in the day. Playing a twenty-song career spanning set, their performance didn't just roll back the years but also highlighted the band's relevance at this present moment in time. Initially formed in 1987, the band split in 1998 two years after drummer Chris Acland tragically passed away. Although still officially active, the band never played live again after his untimely death in October 1996. The three surviving members - Miki Berenyi (guitar & vocals), Emma Anderson (guitar & vocals) and Phil King (bass) - got back together last year with former Elastica and Spitfire member Justin Welch on drums. Having announced shows in both the UK and USA, the band released their first new material in 20 years last month in the shape of Blind Spot, a four-track EP that recalls their halcyon era. Here, Berenyi, Anderson and King talk to Drowned In Sound about getting back together, recording new music and the difficulties of combining day jobs and family life with being in a band. DiS: Was getting back together an easy decision to make? Had you been planning it for a long time? Emma Anderson: No it certainly wasn't easy. It took a lot of consideration. We had looked at it a few years ago but it didn't happen for various reasons. Miki Berenyi: People have this idea that Coachella offered us £2 million but that really wasn't the case! Emma Anderson: Which is just as well really! It was such a big thing to get moving because we had to find a drummer, we hadn't played together for so long, all the arguments from the past had to be put to one side. There had to be so many good reasons to do it. It was such a major operation to get it together. Phil King: It was such a long process. Miki Berenyi: Which is why it all had to be worth it. People have got jobs, we've all got kids, so if we're going to suddenly drop everything and devote all our time to it there had to be a good reason to do it. There was a lot to consider and that's what was working against us. Just so many issues to deal with. DiS: When did it all start to come together? Phil King: October of last year when we had our first rehearsal. Emma Anderson: But we started planning it a while before that actually. That took about a year. Originally there was talk of it just being an album. DiS: The Blind Spot EP sounds like it could have been recorded around the time of Gala or Spooky. Had you always intended returning to your earlier sound upon reforming? Miki Berenyi: I don't think it was that deliberate. Phil King: How dare you! Emma Anderson: We didn't sit and plan it. There never has been any meticulous way our songs are formed. They just come out naturally. Then we'll sit back and listen to it and maybe add a backing vocal somewhere or a guitar part somewhere else because that's what we're familiar with. DiS: When did you start writing the songs that would go on to form the EP? Emma Anderson: Last year. We thought it would be nice to put out a new record. A lot of bands that come back don't put out new material and while that's their prerogative, I think it kind of justifies what we're doing if there's new material and it stands up against what we put out before. It's important for us to be able to show people we're still committed to making new music and not just regurgitate stuff from 20-25 years ago. It was weird though because when we made the record we hadn't actually played together as a band at that point. It was a weird process that proved quite daunting at the beginning. Daniel (Hunt) from Ladytron produced it and because of the way he works, did quite a lot of the pre-production on his own in Brazil where he lives. I sent him some demos which he used as a template and he put a lot of effects on the songs. Then we finished the EP at Jim Abbiss's studio. That part was pretty intense. We finished the whole recording and mixing process in eight days. DiS: Had you always intended to work with Jim Abbiss and Daniel Hunt on the new recordings? Emma Anderson: I used to work closely with what was then Daniel's management company years ago. I met him back then and he told me he was a massive Lush fan when he was 14. And when we were looking for a producer I asked Daniel if he had any recommendations for someone that might be good and immediately said "Me!" Jim Abbiss had produced Ladytron's Witching Hour album and he became good friends with Daniel. So they always had this idea of working on something together so he had this lightbulb moment that this could be the thing he worked with Jim on. Jim was really into it as well so, here we are. DiS: Were there any more songs written and recorded during those sessions that didn't make it onto the EP? Emma Anderson: No. There was no time for that. It was hard enough completing those four. DiS: Was Justin Welch your first choice to play drums? Emma Anderson: Pretty much, yeah. When we looked at it a few years ago we wanted Loz Colbert from Ride but that didn't happen. Miki Berenyi: And obviously he's a little bit busy. Emma Anderson: Justin was Chris's mate. He knew him really well and he was really chuffed when we asked him. DiS: Did it take him long to settle in? Emma Anderson: Not really, no. He's really industrious and would think nothing of spending six hours straight in the studio learning the songs. Miki Berenyi: I remember thinking, "Really?" when he first joined. DiS: Was it difficult playing for the first time without Chris? Emma Anderson: You know what, it actually felt quite natural in a way. I mean, the whole thing of us playing again felt a bit strange in itself. Miki Berenyi: Trying to relearn the songs was the most difficult thing. We had this rehearsal room in Brighton where Justin used to work and it was very baby steps to begin with. But actually playing with Justin helped us get through it. He worked so hard even before that first rehearsal. He'd spent hours watching You Tube videos of Chris. Phil King: It was like someone learning to play chess. He literaly spent hours studying Chris play drums to the point where he picked up some of his mannerisms. Miki Berenyi: So we were like, "Don't copy him too much!" Chris had his faults but he brought his own thing to it as well and we wanted Justin to do the same. DiS: Is Justin a permanent member of the band now? Is Lush a permanent thing going forwards? Miki Berenyi: Let's just take things one step at a time for now. It's been difficult enough spending the last month away from home. DiS: Were you nervous before the Oslo show last month bearing in mind it was your first in twenty years? Emma Anderson: It was nice to play in such a small venue. We knew a lot of the people there. It made it easier to know that everyone was rooting for us. It was full of people that knew all the songs and really wanted to hear us play. DiS: You've just come back from America. How were the shows over there? Emma Anderson: The shows went really well once we got going, but we had a lot of issues trying to get our visas to start with. Phil King: Once we actually got round to playing the response over there was fantastic. Overwhelming at times. DiS: Will there be more shows after these two in Camden? A full UK tour maybe? Miki Berenyi: We can't really. We have a show in Manchester in November which we originally booked to play last month but then we had to reschedule and that was the only suitable date we could get. Because we've got kids - Emma's a single mum - we can't just piss off on tour for three months. I've still got a job. I'll be back in the office on Monday. I work as a production editor. Phil King: Miki and I worked together in an office once. Miki Berenyi: So there's all sorts of restrictions. We're not able to jet off to places like Australia and Japan or wherever. Even the American shows were quite tricky. That's why they weren't all in one block. We came back after two weeks then went again and did another two weeks. It's more containable that way. Emma Anderson: I've got about three-and-a-half days annual leave left for this year. Phil King: Miki had a sabbatical so she had more time on top of her holidays. DiS: How did you decide which songs to include in the setlist and which to leave out? For example, I notice you're barely playing anything from Lovelife? Emma Anderson: Some are just too hard to play. Looking back, there's a few that never really worked even then. There's a couple of songs off Lovelife that we talked about playing. We tried '500 (Shake Baby Shake)' and it just didn't really fit. It really didn't fit. 'Single Girl' I always thought was a bit of a novelty song. Phil King: Emma was going to rejig it as 'Single Mum'! DiS: Was Lovelife influenced by a lot of the Britpop stuff that was happening at the time? Phil King: Our5 music had always been very poppy underneath. 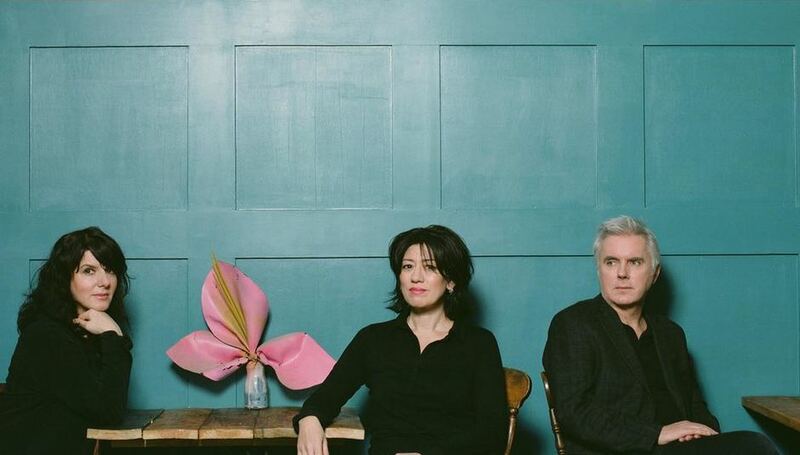 Miki Berenyi: We've always had a pop element to our sound. Emma Anderson: I don't think Lovelife was necessarily more poppy. But the sound was a lot more stripped down and direct than the earlier records. I think our records from Scar onwards were quite poppy. But the production was slightly more of the time I suppose. Miki Berenyi: It wasn't like we were listening to or watching Blur or whoever. It was more about doing something that was more of a direct live sound with the production stripped back. Phil King: Also we were much more confident by that point. DiS: Were the setlists influenced by blogs such as Dean Bromley's Shoegazer & Dreampop News or Richard Lewis's excellent Thoughtforms fanzine which both clearly focus on a specific era of the band? Emma Anderson: I think we did sense that people were more drawn towards that era and we were always going to do songs like 'De-Luxe' and 'Sweetness And Light' rather than 'Single Girl' if we played again. In the end it just boiled down to what we were actually enjoying playing. DiS: Were you conscious of the response to My Bloody Valentine, Slowdive and Ride getting back together. Did the success of those reunions have any bearing on Lush reforming? Emma Anderson: Well they certainly laid a path. I don't know whether we'd have got back together if none of those hadn't done it first. So there's no doubt that had an influence. But then each of those bands sound very different to one another. My Bloody Valentine are a very different band to what Slowdive do and then Ride are different again. The biggest thing for us was that everyone we knew that saw any of those bands really seemed to enjoy it. Whatever level they were at they all said the shows were great. DiS: You've set up your own label Edamame. Does that mean you won't be working with 4AD any more? Emma Anderson: We parted company with 4AD when we split so we're not signed to them any more. They still own our back catalogue hence Chorus and Origami but we're not actually signed with them any more. To be honest, for us 4AD was predominantly Ivo (Watts-Russell). No disrespect to 4AD but I don't think they ever asked us to sign a new contract with them. DiS: There was a backlash from the music press at the time about the so-called "scene that celebrates itself." Were you conscious of that back then? Emma Anderson: It was just the press. Phil King: I think it was the press that celebrated itself. Emma Anderson: It really was invented out of thin air. We were friends with some of those bands but it wasn't like we lived in each other's pockets 24/7. We certainly weren't hanging out and propping up bars with these people every night. DiS: What advice would you give to new bands who are just starting out? Emma Anderson: Don't do it! That's a difficult one for me to answer because I don't really know what it's like to be a new band now. It must be very different now to how it was when we first started. DiS: Do you think Lush would have enjoyed the same levels of commercial success and critical acclaim if you were just starting out now? Emma Anderson: I don't know. One thing I have notice about new bands now is they're so fully formed. They have computers and studios in their bedrooms whereas when we started it was still that DIY punk ethic. Pick up a guitar, learn 4 chords and play to the public. Now it all sounds so polished and a lot of them have been to Brit School or some music college somewhere. Miki Berenyi: Back then you'd record a couple of songs to tape, press up a dozen copies and sound them round various promoters and venues to try and get some shows. It was very different to how it is today. DiS: Are there any new bands you're listening to at the minute? Emma Anderson: I listen to 6Music a lot and they tend to play a lot of new music. Phil King: Most new bands I like sound like old bands. Beachwood Sparks, Allah Las. Emma Anderson: I'm a big fan of Julia Holter. For more information on Lush visit their official website.